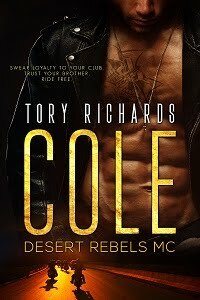 TORY RICHARDS: Coming April 15th!!! This is the second installment of the Evans brother’s trilogy folks! You read Beau and Marissa’s sizzling romance in A Perfect Fit. This next stand alone romance is Blade and Callie’s story. If you read A Perfect Fit then you know the three brothers are identical triplets! Next up...Chaz and Val's story!